This is my fourth post as a BIZ Ambassador. All thoughts and opinions are my own. The holiday season is now in full swing. We are all really busy with parties, concerts and family. The holiday season is my favorite time of the year but it can be hectic. You want to look your best. You are often wearing your nice clothes for photos and events. There’s also quite a bit of food that comes with all the parties. Sometimes you might stain your clothes. My family eats special foods that are considered messy during this time. I am not sure why I always end up getting cocktail weenie sauce on my clothes every year. It never fails. I have tried different methods. Biz is great at removing all kinds of stains. 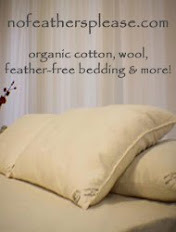 It works well to freshen up those holiday towels that have been sitting in a box for the last year. While they might not be dirty, it’s always a good idea to wash them so they smell fresh. You have to have them ready for guests and parties. My mom made a Christmas tree skirt before I was born. There are even matching cloth ornaments too. Every year it would go under our tree. I used to love to wrap it around my waist and twirl around the house. We would hand wash it every year to remove any possible stains from being under the tree. My mom would also hand wash it before it went under the tree. We always have a real tree. So naturally there’s pine needles and the occasional water spilled while watering the tree. Under the Christmas tree is a prime spot for animals to hang out. Sometimes they bring dirt and other stuff on their paws. If I’m looking for my kitties I know they are likely under the tree. My aunt and uncle’s two big dogs even tried to take refuge under the tree yesterday. We were unable to find it for a couple years. We found it this summer. It didn’t smell or look great so I hand washed it with some BIZ. It’s back under our tree which made me really excited. It’s funny how little things can make you happy. 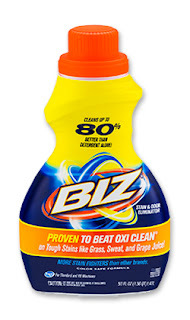 For all your holiday linens and clothes get them holiday ready with BIZ Stain Remover.